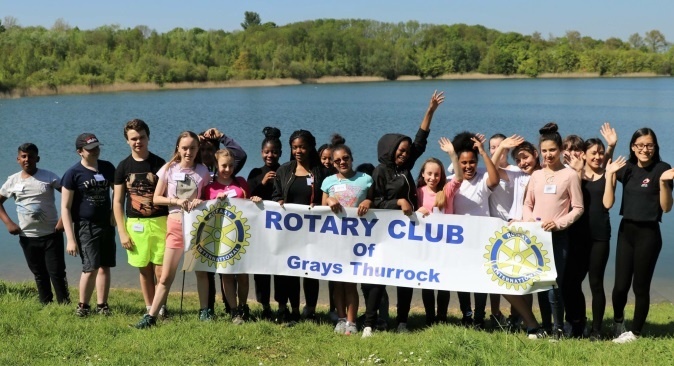 On Sunday 6th May, Rotary District 1240 (Essex) ran the Rotary Youth Leadership Awards (RYLA) day at the Grangewaters Outdoor Education Centre, South Ockendon. 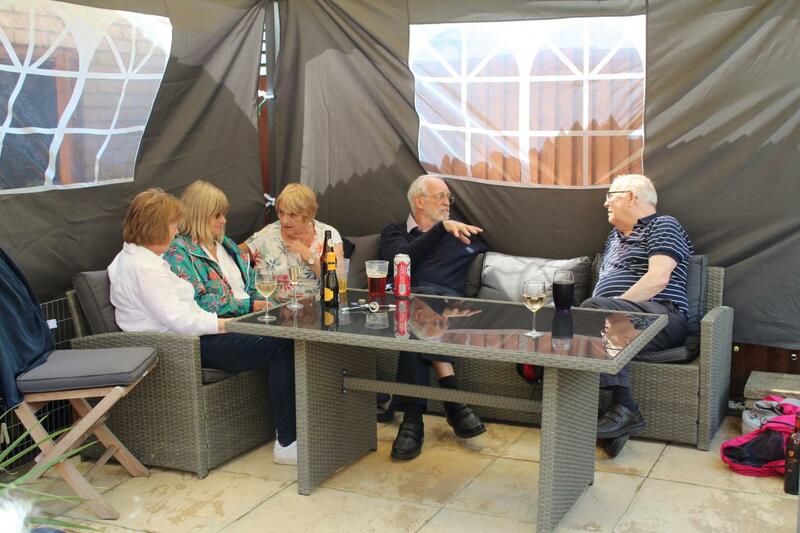 The event was co-ordinated by Rotarians mainly from the Rotary Club of Grays Thurrock. 30 students were invited to participate from schools and youth organisations in the South of the County. The event was free for the participants all costs being covered by Rotary. More information on RYLA can be found here. The activity was designed to develop leadership skills and character, gain exposure to leadership issues and exchange ideas with like-minded people and explore problem solving strategies as part of a group. The students were in three groups and had to complete three challenges which were designed to help with the building of a raft which was the fourth and final challenge. During the day assessors and the qualified Grangewater staff who oversaw each activity watched and marked the students as they used the skills/knowledge gained at the event. At the end of the event 12 students have been invited to a weekend RYLA being run at Danbury activity centre in June. The weather was excellent and at the end of the event when the feedback forms were read all the students stated that they felt the day had been very beneficial. Nicholas Wilkinson from the Rotary club of Grays Thurrock said “we are pleased all the students have gained some knowledge from the day which will help them as they develop their leadership and interpersonal skills. The weather was excellent which helped to make the event the success it was”.